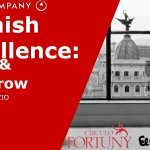 The keys to the “first” report “qualitative and quantitative” called “Spanish Excellence: Today & Tomorrow”, has been produced has been driven by the Fortuny Circle, is produced by the U.S. consulting firm Bain & Company. The top-of-the-range sector in Spain, which had a turnover of around 9,000 million euros in 2018, was headed by the expert consultant Claudia D’Arpizio. Its objective, among others, is to boost the image of Spanish top-of-the-range brands of goods and services abroad, in addition to representing and defending the particularity of this sector as the driving force of the Spanish economy. In 2018, the luxury sector totalled around 1.8 billion euros in sales worldwide, of which 72 % corresponded to European firms, around 843,000 million euros, according to an estimate by the consulting firm Bain, whose data have been offered by the European Cultural and Creative Industries Alliance (Eccia), an organisation that brings together European companies in the luxury sector.